When you plan a visit to Amsterdam, you want to see as much of the city and the surrounding area as possible. This is understandable, because with its old canal-side houses, romantic bridges and winding streets, the city has a lot to offer. I have listed some of the best Amsterdam tours you can enjoy on this page! Once you are in Amsterdam, or actually wherever you are in the Netherlands, you will notice that the bicycle is a popular means of transport. We’re not crazy; the Netherlands is very flat, has plenty of cycle paths and, certainly in the busy urban environments, are the easiest and safest mode of transport. Rent a bicycle in Amsterdam and experience absolute freedom. You can easily get to all the sights, don’t have to depend on public transport and will reach places you would otherwise never have had the time to discover. More information about renting a bike can be found on the Bike rental in Amsterdam page. Probably the most popular way to soak up Amsterdam. Thanks to our countless canals you can pretty much see the entire city from the water. Whatever the weather, a tour boat is always the right decision. 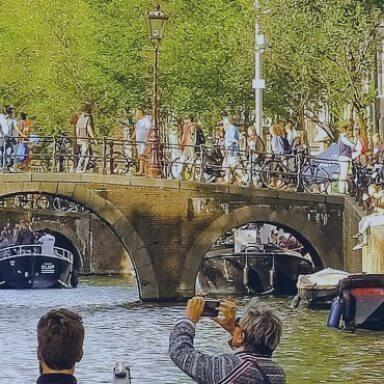 There’s another plus point; in a boat you will never have to push through the Amsterdam crowds and there are no traffic jams or closed-off streets, what luxury! Find more information on my Amsterdam canal cruise page. Nowadays, you will find Hop On Hop Off buses in every major city. Not surprisingly, these buses are ideal when you want to see a lot of your destination in a short time without needing to figure out how to get from A to B. 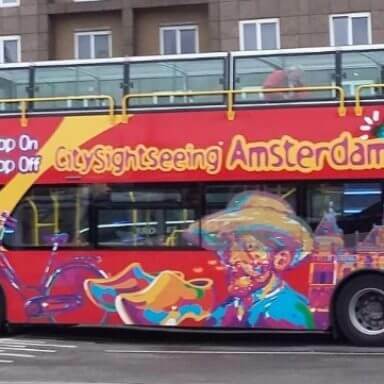 In Amsterdam, Hop On Hop Off buses stop at all the best known attractions and you are free to decide where and when to get on and off. There’s more information on the page dedicated to Hop On Hop Off Buses. These gorgeous villages are not in the city of Amsterdam, but in its immediate vicinity. Those of you who really want to experience typical Dutch culture should definitely consider a trip to Volendam, Marken & Zaanse Schans. 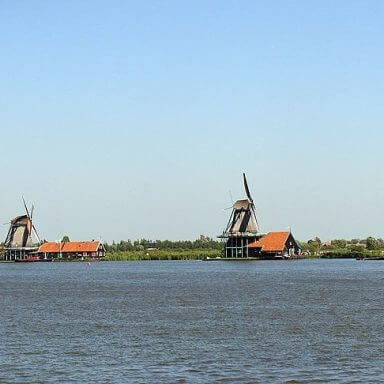 Here you will discover the Netherlands’ heritage, explore windmills and typical Zaanse houses, as well as admire the traditional costumes. A unique experience that you won’t encounter anywhere else in the world. Curious? Go to my page describing the Volendam, Marken & Zaanse Schans experience. Okay, it’s not in or very close to Amsterdam, but if you have some time and it’s the right season, make sure you visit the Keukenhof. A world famous attraction with hundreds of thousands of tulips and beautifully landscaped gardens surrounding an old castle; it’s impossible to forget a day at the Keukenhof. Unfortunately, it is only open during a few weeks of the year – in the springtime, when the delicious bulbs are in full bloom. 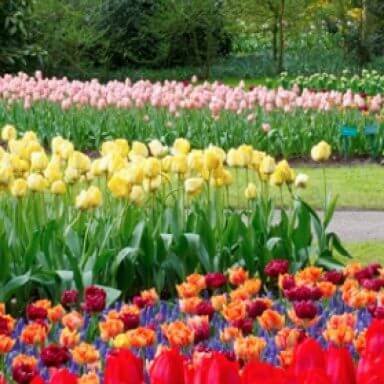 Look for more information on my special page about the Keukenhof. 641 visitors rated Tours average 4.96 stars out of 5.